Though not due to go on sale in the U.S. until November, you can bid right now on the first all-electric e-Golf in the U.S. The auction is of course a charity event in which the proceeds go to Global Green USA, a national environmental non-profit and leader in advancing smart solutions to climate change that help improve lives and protect the planet. Want the U.S' first e-Golf? Follow this link to start bidding. Bidding ends October 29. Please Note: Auction winner must be a citizen of the United States, over the age of 21. 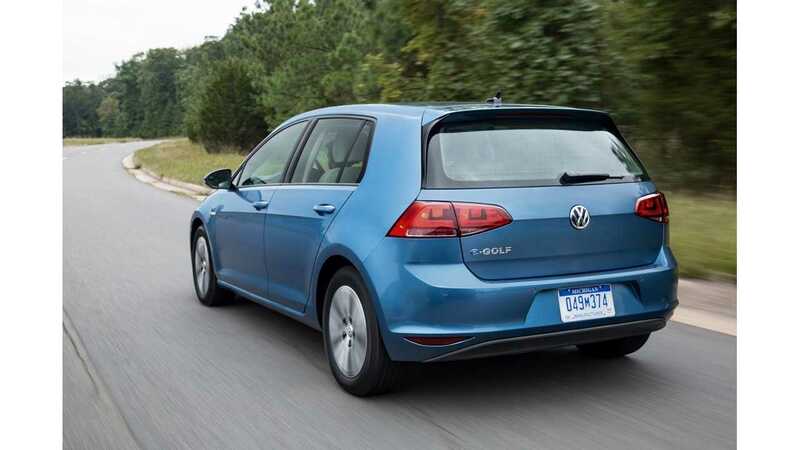 The all-new 2015 Volkswagen e-Golf will be available only through participating VW dealerships in initial launch states including: California, Connecticut, Maine, Maryland, Massachusetts, New Jersey, New York, Oregon, Rhode Island, Vermont, Washington DC. Before placing a bid, please note that only e-Golf certified VW dealerships in these select launch states are able to perform any service and maintenance on the vehicle. 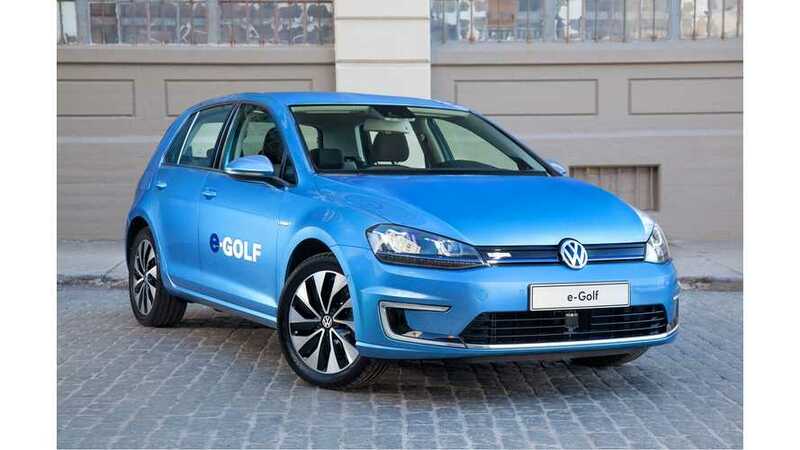 Owners that require service on e-Golf models registered outside of initial launch states will be responsible for any costs associated with the transport of the vehicle to the nearest participating VW dealership. Reminds us of how service is dealt with on out-of-state Toyota RAV4 EVs. 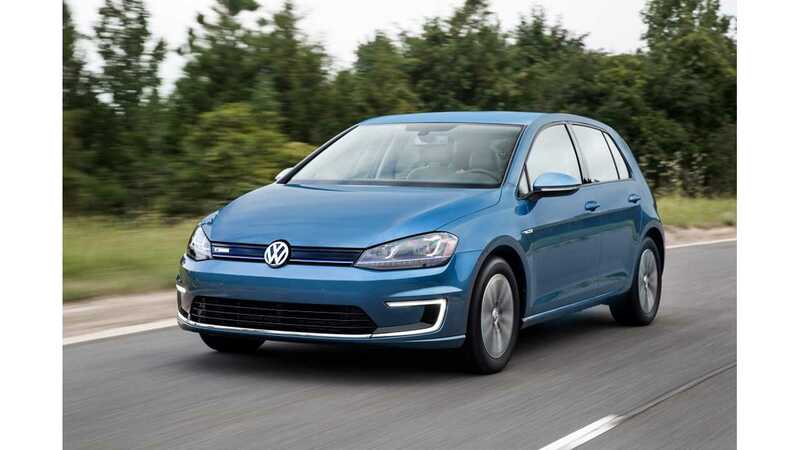 VOLKSWAGEN TEAMS UP WITH GLOBAL GREEN USA TO AUCTION OFF THE FIRST ALL-ELECTRIC E-GOLF IN THE U.S.
Herndon, VA (October 13, 2014) – Volkswagen of America, Inc. (VWoA) and Global Green USA today announced the auction of the first 2015 all-electric Volkswagen e-Golf. The auction, hosted online at Charitybuzz.com/vwegolf, gives bidders the opportunity to be the first owner of the brand’s first all-electric model before retail sales in the United States begin later this year. Proceeds will benefit Global Green USA, a national environmental non-profit and leader in advancing smart solutions to climate change that help improve lives and protect the planet. Due to go on sale in November, the 2015 e-Golf is Volkswagen’s first fully electric vehicle that produces zero tailpipe emissions, requires zero trips to the pump, and operates completely on electric power. The all-new model is part of a structured powertrain strategy that will lead to the introduction of new and highly efficient drive systems, and is part of Volkswagen’s Think Blue.© holistic approach to sustainability. The all-new, 2015 Volkswagen e-Golf goes on sale in November, starting at $35,445 for the fully equipped SEL Premium model. The ultra-efficient e-Golf features a 24.2 kWh lithium-ion battery and an electric motor producing 115 horsepower and 199 pound-feet of torque. With a 7.2 kW onboard charger and DC fast charging standard, the versatile electric vehicle will offer one of the largest interiors in its class. Built on the Golf’s new Modular Transverse Matrix (MQB) platform, the e-Golf follows the fun-to-drive, yet practical formula of the Golf, with all of the benefits of an electric vehicle. Volkswagen is also improving the ownership experience with a holistic approach to e-mobility. The company has announced a plan to invest in carbon reduction projects to help offset the emissions created from the production, distribution, and charging of the e-Golf for approximately 36,000 miles of driving. Charging solutions from Bosch® and Chargepoint®, along with a new Roadside Assistance program and VW Car-Net® e-Golf app, are designed to make owning the e-Golf a thoroughly reassuring, rewarding and enjoyable experience. Extra peace of mind comes with a best-in-class eight year/100,000 mile battery. Bids will be accepted at Charitybuzz.com/vwegolf until 3:30 p.m. ET on October 29. About Volkswagen of America, Inc. Founded in 1955, Volkswagen of America, Inc., an operating unit of Volkswagen Group of America, Inc. (VWoA) is headquartered in Herndon, Virginia. It is a subsidiary of Volkswagen AG, headquartered in Wolfsburg, Germany. VWoA’s operations in the United States include research and development, parts and vehicle processing, parts distribution centers, sales, marketing and service offices, financial service centers, and its state-of-the-art manufacturing facility in Chattanooga, Tennessee. The Volkswagen Group is one of the world's largest producers of passenger cars and Europe's largest automaker. VWoA sells the Beetle, Beetle Convertible, Eos, Golf, GTI, Jetta, Jetta SportWagen, Passat, CC, Tiguan, and Touareg vehicles through approximately 649 independent U.S. dealers. Global Green USA is dedicated to helping the people, places, and the planet in need through catalytic projects, transformative policy, and cutting-edge research. Global Green USA's signature programs include greening affordable housing, schools, neighborhoods, and cities as well as rebuilding communities — such as New Orleans and areas of New York and New Jersey — that have suffered from the impacts of climate change, sea level rise, and environmental degradation. Global Green USA is the U.S. affiliate of Green Cross International, which was founded by President Mikhail Gorbachev in 1993 to foster a global value shift toward a sustainable and secure future. For more information, visit globalgreen.org and follow us @globalgreen.